The present invention relates to a method for screening for a putative substrate of a protein kinase. The invention also relates to drug-resistant mutant protein kinases, which may be used in this method, to a nucleic acid encoding these mutant protein kinases, to a host cell expressing the mutant protein kinase and to a kit comprising these mutant protein kinases. application to the drug development process. The protein kinases in question catalyse the covalent modification of their protein substrates by the addition of phosphate groups from ATP, or sometimes GTP, to the hydroxyl side chains of the amino acids serine, threonine and tyrosine. The identification of protein kinase substrates has exploited this property and has involved the use of methods that monitor the incorporation of phosphate into proteins and more particularly into specific sites, since many proteins are subjected to multiple phosphorylation events. recognition of substrates targeted by the protein kinase of interest since there are over 500 protein kinases which can otherwise confound identification. The use of a radiolabelled phosphate donor (e.g. γ-32Ρ-ΑΤΡ) and the introduction of purified protein kinases to cell extracts or fractionated cell extracts has been refined with the KESTREL method (see Cohen et al., 2006 #1) where the kinase of interest by design dominates the phosphorylation events observed. In this method, formal substrate identification typically requires further work up through fractionation and mass spectrometry and also site identification, which again may include mass spectrometry. As with all methods, subsequent validation in cells or in vivo is required, typically achieved by demonstrating that gain of function or loss of function manipulations of the protein kinase of interest induces appropriate changes in the phosphorylation state of the substrate . identification and cellular or in vivo validation. A distinct method for the enrichment of protein kinase substrates is the use of chemical genetics, wherein the nucleotide binding pocket required for ATP binding is enlarged (a "hole" is introduced) in the protein kinase of interest to accommodate a "bumped" ATP molecule, wherein the ATP itself has been modified to provide a bulkier structure that nevertheless serves as a phosphate donor for appropriately modified protein kinases, but not for endogenous unmodified kinases. This bumped/hole method has been successfully employed to identify substrates biochemically in vitro including for example for the protein kinase chkl (see Blasius et al., 2011 #3) . Site mapping and cellular or in vivo validation are required subsequent to the candidate substrate identification. predictive and requires other approaches to enable its exploitation. In defining preferences however it can permit candidate sites to be enriched for empirical approaches to site mapping, one of the requirements for many of these substrate identification procedures. All of the biochemical in vitro methods suffer from the requirement for the contrived "meeting" of protein kinase with candidate substrate in an heterologous context. Given the fact that protein kinases are typically promiscuous, in these contrived "meetings" protein kinases will often effect some degree of phosphorylation scoring positively in screens. This generates many false positives. In addition, as noted above, all these methods require cellular or in vivo validation and this typically involves the use of activation or inhibition of the protein kinase of interest in a cellular context and the monitoring of the substrate phosphorylation event to determine if it tracks in parallel to the activity change. Such validation is required for all approaches but prior enrichment from cellular approaches would greatly simplify this process. spectrometry can also provide evidence for candidate substrates and usefully applies SILAC procedures for quantitation of differences. Such approaches have been employed in monitoring candidate targets following activation of growth factor receptor tyrosine protein kinases (see Blagoev et al., 2003 #9). However, again, whether the changes are proximal or distal to the protein kinase of interest has to be determined by follow on experimentation. A chemical genetic method employed for substrate screening in cells involves the use of protein kinases modified to accommodate a bumped inhibitor, in an approach related to the use of bumped ATP. Here the bumped inhibitor is used to selectively inhibit the modified protein kinase of interest introduced into the cellular setting and can be used therefore for differential screening (2D-DIGE, SILAC, and related methods) to identify candidate substrates for subsequent site mapping (as required) and validation (see Bishop et al., 1998 #11) . This approach is also limited by the issue of direct and indirect substrates. There are also the additional problems with this approach in that the endogenous wild-type allele of the kinase of interest is not targeted by the inhibitor (this will have a variable effect and can only be overcome by knock-in and knock-out strategies) and that as with all inhibitor based loss-of-function approaches the effects observed may be off-target; additional controls are required for the wild-type allele versus the modified allele to optimally avoid this problem. The problem of a proximal versus distal substrate for the cellular approaches is a general one that provokes much further work to determine whether the identified substrate is indeed a direct target. This issue is in part addressed by the use of generic phospho-site recognition antisera to screen for phosphorylation changes consequent to activation or inhibition of the protein kinase of interest. Here antisera are generated to permit detection of redundant sequences that encompass sequences typically recognized by the protein kinase of interest. In this manner changes that are characteristic for the protein kinase of interest are enriched and through extensive purification and mass spectrometry (or other identification procedures) , candidate substrates can be identified, worked up and validated (see for example Kane et al., 2002 #10 ) . While the use of such approaches provides enrichment of candidates for direct substrates, the overlapping specificity of protein kinases is such that there is extensive work-up required to eliminate false positives. To overcome these limitations, the present inventors have developed a general approach to proximal substrate identification for a defined subset of protein kinases that is based on the cellular or in vivo "meeting" of the protein kinase of interest and its substrates, and the pre-enrichment for kinase-directed inhibitor sensitive phosphorylation events that overcome prior chemical genetic limitations. substrate of the protein kinase. The phosphoprotein preferably associates with the mutant protein kinase and not with the wild type protein kinase in the presence of the kinase inhibitor. The method preferably includes the step of detecting phosphorylation of proteins that associate with the mutant kinase and with the wild type kinase in the presence of the kinase inhibitor, wherein an increased level of phosphorylation of a protein when associated with the mutant kinase in the presence of the kinase inhibitor compared to when associated with the wild type kinase in the presence of the kinase inhibitor indicates that the protein is likely to be a substrate of the protein kinase. The protein kinase preferably has a ribose binding pocket comprising two acidic residues, wherein in the mutant kinase one or both of the acidic residues are replaced with a non-acidic residue. The at least one acidic residue or the two acidic residues are preferably aspartate. The at least one acidic residue or the two acidic residues preferably correspond to D330 and/or D373 in human PKCi. The at least one or both of the acidic residues may be replaced with any non-acidic residue that does not interfere with nucleotide substrate binding. The non-acidic residue is preferably alanine, arginine, asparagine, cysteine, glutamine, glycine, histidine, isoleucine, leucine, lysine, methionine, phenylalanine, proline, serine, threonine, tryptophan, tyrosine or valine. More preferably, the non-acidic residue is alanine, glycine, valine, leucine, isoleucine, serine, threonine, or cysteine. Even more preferably, the non-acidic residue is alanine, glycine, valine, leucine or isoleucine. Most preferably, the non-acidic residue is alanine. serine/threonine kinase. The protein kinase is preferably an AGC kinase. For example, the protein kinase may be a member of the protein kinase C (PKC) , protein kinase A (PKA) or protein kinase G (PKG) families. The mutant protein kinase and/or the wild type protein kinase may be overexpressed in the host cell. In one embodiment, the mutant protein kinase and/or the wild type protein kinase may be introduced into the genome of the host cell by a knock-in method. The method may be carried out in vitro or in vivo. The kinase inhibitor may comprise a basic amine moiety and a hinge binding moiety linked to a core scaffold. Preferably, the basic amine moiety of the kinase inhibitor is unable to bind to the ribose binding pocket of the mutant protein kinase. Examples of suitable inhibitors with differing selectivity profiles include (S) -3-Phenyl-N*l*- (2-pyridin-4-yl-5, 6, 7, 8-tetrahydro- benzo [4,5] thieno [2, 3-d] pyrimidin-4-yl) -propane-1, 2-diamine, (S) - N*l*- (7-Bromo-2-pyridin-4-yl-thieno [3, 2-d] pyrimidin-4-yl) -3-phenyl- propane-1, 2-diamine and (S) -3-Phenyl-N*l*- [7- (2H-pyrazol-3-yl) -2- pyridin-4-yl-thieno [3, 2-d] pyrimidin-4-yl] -propane-1, 2-diamine. The chemical structures of these kinase inhibitors are shown in Figure 16A and their inhibition profiles are shown in Figure 16 B. The differing selectivity profile of these kinase inhibitors for various protein kinases is shown in Tables 2 and 3. In a second aspect, the invention provides a mutant protein kinase for use in the method of the first aspect described above. preferably correspond to D330 and/or D373 in human PKCi. The at least one or both of the acidic residues may be replaced with any non-acidic residue. The non-acidic residue is preferably alanine, arginine, asparagine, cysteine, glutamine, glycine, histidine, isoleueine, leucine, lysine, methionine, phenylalanine, proline, serine, threonine, tryptophan, tyrosine or valine. More preferably, the non-acidic residue is alanine, glycine, valine, leucine, isoleueine, serine, threonine, or cysteine. Even more preferably, the non-acidic residue is alanine, glycine, valine, leucine or isoleucine. Most preferably, the non-acidic residue is alanine . serine/threonine kinase. The protein kinase is preferably an AGC kinase. For example, the protein kinase may be a member of the protein kinase C (PKC), protein kinase A (PKA) or protein kinase G (PKG) families. In a third aspect, the invention provides a nucleic acid encoding the mutant protein kinase of the invention. In a fourth aspect, the invention provides a host cell expressing the mutant protein kinase of the invention. The host cell is preferably a cancer cell, a neuronal cell or an immune cell. In a fifth aspect, the invention provides a kit comprising the mutant protein kinase of the invention and a kinase inhibitor which inhibits the kinase activity of the corresponding wild type protein kinase, but not the mutant protein kinase. N*l*- [7- (2H-pyrazol-3-yl) -2-pyridin-4-yl-thieno [3, 2-d] pyrimidin-4- yl] -propane-1, 2-diamine . The chemical structures of these kinase inhibitors are shown in Figure 16A and their inhibition profiles are shown in Figure 16 B. The differing selectivity profile of these kinase inhibitors for various protein kinases is shown in Tables 2 and 3. These and other aspects of the invention are described in further detail below. Figure 1 shows that LLGL2 is a PKCi substrate whose level of phosphorylation in cells can be specifically monitored. The indicated GFP-PKCi and GFP-LLGL2 constructs were co-transfected into HCT-116 cells. Cells were lysed and immunoprecipitated (IP) with anti-GFP antibody. Exogenous GFP-tagged immunoprecipitated proteins were detected with anti-GFP antibody. The level of phosphorylation of exogenous LLGL2 was detected using both a phospho-specific antibody (pS653) and a generic phospho-serine site antibody (pSer PKC motif) . Immunoblots (IB) show that LLGL2 phosphorylation at S653 depends on PKC L (expression and catalytic activity). WT: Wild-Type, KD: Kinase Dead; S: Serine, A: Alanine. Figure 2 shows mapping of Ser653 on human LLGL2 and generic anti- phospho-serine antibody recognition. Alignment of the Ser653- containing region of human LLGL2 protein. Sequences are shown in single letter amino acid code, with underlined bold S denoting the phosphorylated residue. Phospho-Ser653 and its surrounding residues can be recognized by a generic PKC phosphorylation site, commercial polyclonal antibody. The additional underlined region indicated to the left of the S653 motif denotes a second site also conforming to the antiserum consensus motif. R: Arginine, K: Lysine, S: Serine, X: any amino acid, Ψ: Hydrophobic. constructs were transfected into 3 different human cancer cell lines. Cells were lysed and immunoprecipitated (IP) with anti-GFP antibody. 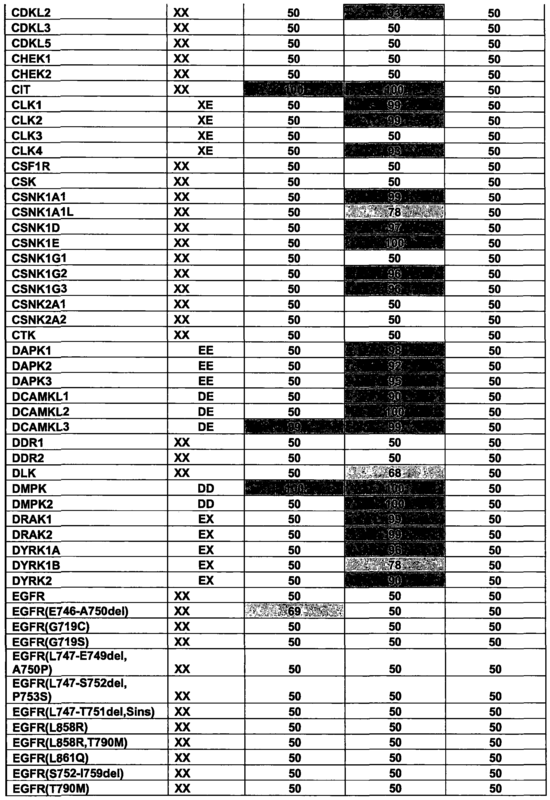 Immunoprecipitates were immunoblotted (IB) with the indicated antibodies. A subset of phospho-substrates specifically isolated from PKCv immunocomplexes can be detected by using the generic anti-phospho-Ser antibody (upper panels) . Figure 5 shows chemical inhibition of PKCi can be assessed by using its associated phospho-substrates as a read-out. The indicated GFP (as a control) and GFP-PKCi constructs were transfected into HCT-116 cells. Cells were treated with Compound A ( (S) -3-Phenyl-N*l*- (2- pyridin-4-yl-5, 6,7, 8-tetrahydro-benzo [4, 5] thieno [2, 3-d] yrimidin-4- yl) -propane-1, 2-diamine) chemical inhibitor (+) or not (-) prior to lysis. Cell lysates were immunoprecipitated (IP) with anti-GFP antibody. Total extracts (tot. extr.) and immunoprecipitates were immunobloted (IB) with the generic PKC site phospho-serine antibody (pSer PKC motif) . Figure 6 shows Selectivity of Compound A ( (S) -3-Phenyl-N*l*- (2- pyridin-4-yl-5, 6,7, 8-tetrahydro-benzo [4, 5] thieno [2, 3-d] pyrimidin-4- yl) -propane-1, 2-diamine) on aPKC over other PKC subfamily members expressed in the same cell type. HCT-116 cells were transfected with a representative isoform of each of the 3 PKC subfamilies. phosphoproteins observed in the absence of ATP appears to reflect the net dephosphorylation of phosphoproteins through contaminating or associated phosphoprotein phosphatases. interaction to the hinge binding region through the pyridine ring and the primary amine moiety in the side chain makes interactions with D330 and D373 in the ribose pocket. Figure 8B shows a pictorial representation of a docking simulation of compound B ((S)- N*l*- (7-Bromo-2-pyridin-4-yl-thieno [3, 2-d] pyrimidin-4-yl) -3-phenyl- propane-1, 2-diamine) bound to the ATP binding site of PKCi, highlighting the key binding interactions to the hinge region and with D330 and D373 in the ribose pocket. Figure 8C: Pictorial representation of a docking simulation of compound C ( (S) -3-Phenyl- N*l*- [7- (2H-pyrazol-3-yl) -2-pyridin-4-yl-thieno [3, 2-d] pyrimidin-4- yl] -propane-1, 2-diamine) bound to the ATP binding site of PKCL, highlighting the key binding interactions to the hinge region and with D330 and D373 in the ribose pocket. Figure 8D: Pictorial representation of a docking simulation of compound D [l-Benzyl-2- (7- bromo-2-pyridin-4-yl-thieno [3, 2-d] pyrimidin-4-ylamino) -ethyl] - carbamic acid tert-butyl ester bound to the ATP binding site of PKCi, highlighting the key binding interactions to the hinge region and the absence of further ionic interactions with D330 and D373 in the ribose pocket. Figure 9 shows desensitisation of mutant PKCi. The indicated GFP- PKCt constructs were co-transfected with GFP-LLGL2 into HCT-116 cells. Cells were treated with increasing concentrations of Compound A ( (S) -3-Phenyl-N*l*- (2-pyridin-4-yl-5 , 6, 7, 8-tetrahydro- benzo [4, 5] thieno [2, 3-d]pyrimidin-4-yl) -propane-1, 2-diamine) chemical inhibitor or treated with D SO as a control prior to lysis. Cell lysates (total extracts) were immunoblotted (IB) with the indicated antibodies for exogenous proteins. PKCi-WT activity is inhibited in cells by Compound A, whereas the DD/AA mutant corresponds to a drug- desensitized version of the protein, as monitored by pS653-LLGL2 in cell lysates. D: Aspartic acid, A: Alanine. Figure 10 shows specific mutation of 2 key aspartic acid residues in the kinase ribose pocket lead to a drug-desensitised version of the kinase informative on associated substrate. The indicated GFP-PKCi constructs were transfected into HCT-116 cells. Cells were treated with Compound A ( (S) -3-Phenyl-N*l*- (2-pyridin-4-yl-5, 6, 7, 8- tetrahydro-benzo [4,5] thieno [2, 3-d] pyrimidin-4-yl) -propane-1, 2- diamine) chemical inhibitor (+) or not (-) prior to lysis. Cell lysates were immunoprecipitated (IP) with anti-GFP antibody, then purified immunocomplexes were immunoblotted (IB) for GFP and generic PKC phosphorylation sites (pSer PKC motif) . Comparative analysis of complex-associated phospho-substrates as a read-out of PKCv activity, reveals drug sensitivity of the wild-type ( T) whereas these remain phosphorylated in the DD/AA mutant, under the same drug treatment. D: Aspartic acid, A: Alanine. sensitive the DD/AA mutant can still phosphorylate LLGL2 under the same drug treatment. D: Aspartic acid, A: Alanine. comparative method as a way to identify novel substrates/biomarkers of a kinase. The indicated GFP (as a control), GFP-PKCi and FLAG- tagged substrates (S1-S4) were co-transfected into HCT-116 cells. Cells were treated with Compound A ( (S) -3-Phenyl-N*l*- (2-pyridin-4- yl-5, 6,7, 8-tetrahydro-benzo [4,5] thieno [2, 3-d] pyrimidin-4-yl) - propane-1, 2-diamine) chemical inhibitor (+) or not (-) prior to lysis. Cell lysates were immunoprecipitated (IP) with anti-FLAG antibody. 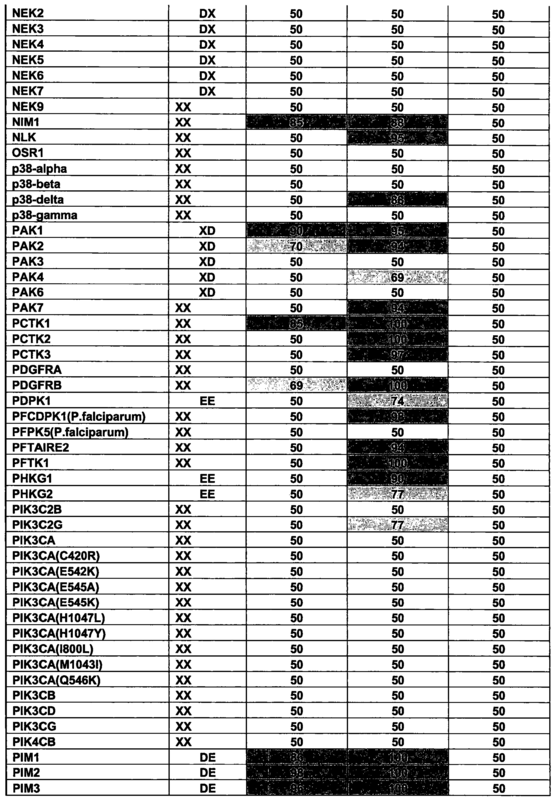 Immuno-purified (IP) substrates were immunoblotted (IB) for FLAG and generic PKC phosphorylation sites (pSer PKC motif) . Analysis of substrates phosphorylation shows drug sensitivity for all 4 substrates. sensitivity/desensitization (the WT version of the protein is drug sensitive whereas the DD/AA mutant can still phosphorylate MyoX under the same drug treatment) leading to specific substrate identification. D: Aspartic acid, A: Alanine. constructs were co-transfected into HCT-116 cells. Cells were lysed and immunoprecipitated (IP) with anti-GFP antibody. Exogenous GFP- tagged immunoprecipitated proteins were detected with anti-GFP antibody. The level of phosphorylation of exogenous MyoX was detected using a custom phospho-specific antibody (pS1892) . Phenyl-N*l*- (2-pyridin-4-yl-5, 6,7, 8-tetrahydro-benzo [4, 5] thieno [2,3- d] pyrimidin-4-yl) -propane-1, 2-diamine; Compound B: (S)-N*l*-(7- Bromo-2-pyridin-4-yl-thieno [3, 2-d] yrimidin-4-yl) -3-phenyl-propane- 1, 2-diamine; Compound C: (S) -3-Phenyl-N*l*- [7- (2H-pyrazol-3-yl) -2- pyridin-4-yl-thieno [3, 2-d] pyrimidin-4-yl] -propane-1, 2-diamine; and compound D: [l-Benzyl-2- (7-bromo-2-pyridin-4-yl-thieno [3, 2- d] pyrimidin-4-ylamino) -ethyl] -carbamic acid tert-butyl ester. Figure 16B shows inhibition profiles for compounds A, B, C & D against PKCi, PKCz, ROCK-I and ROCK-II. Figure 17A shows a pictorial representation the groups linked to constitute the possible structure of the kinase inhibitor, wherein the hinge binding moiety is a nitrogen atom containing heterocycle; the core is a nitrogen containing heterocycle that may be fused to form a bi/tri-cyclic moiety; the flexible linker is an alkyl group which can be substituted; the basic amine moiety is an amino group containing moiety. Figure 17B shows an example of preferred generic structure for the kinase inhibitors, wherein the hinge binding moiety is a pyridine; the core is a pyrimidine ring fused with one or two other rings; the flexible linker is a 3-phenyl propylamine; and the basic amine is an NH2 group. The present invention is based on the finding that using a mutant protein kinase that is at least partially resistant to inhibition by a kinase inhibitor in a method of screening for a putative substrate of the protein kinase can reduce the number of false positives obtained in the substrate screening assay, thus improving the specificity of the assay. The generic comparative method described here leads to the identification of proximal targets which has important implications especially for the biomarker discovery area. As described above, the invention relates to a method for screening for a putative substrate of a protein kinase having a ribose binding pocket comprising at least one acidic residue. Structurally, many protein kinases share common features. The kinase domain typically consists of an N-terminal lobe, rich in β- sheet motifs, whilst the C-terminal lobe usually contains mainly a- helix motifs (see Figure 15A) . These two lobes are connected by a "hinge" region, and most ATP-site kinase inhibitors of DFG-in kinase conformations (the active conformation in which the aspartate- phenylalanine-glycine motif adopts an "in" conformation) bind this hinge region through 1-3 hydrogen bonds, driving the potency of the ligands. It is standard practice to describe the various regions of a typical kinase binding site according to which part of ATP they usually interact with. The adenine ring of ATP typically binds the hinge region in the kinase. The phosphates of ATP bind more towards the outside of the site, coordinating bound metal ions as well as the "salt bridge" region of the site, usually formed by a flexible lysine residue from the G-loop, which forms a "lid" on the binding site, coordinating to the Aspartate (or similar acidic amino acid) of the DFG motif. Between the adenine and phosphate binding regions is a region of the site at the start of the C-terminal lobe just beyond the hinge usually described as the ribose binding pocket, as the ATP ribose unit usually interacts with residues in this region (see Figure 15B) . The ribose binding region is usually quite hydrophilic, and varies in amino acid composition across the kinome, so may be used to introduce selectivity in ligands. The method involves the use of a wild-type allele of the protein kinase of interest that is sensitive to a kinase inhibitor and a drug insensitive variant of the protein kinase. The method of the invention is suitable for screening for a putative substrate of any protein kinase having a ribose binding pocket comprising at least one acidic residue. Examples of naturally- occurring acidic residues are aspartate and glutamate. comprising at least one acidic residue include serine/threonine kinases (i.e. kinases that phosphorylate serine or threonine kinases in their substrates) , such as AGC kinases, CaM kinases and CHUK kinases . AMPKal, AMPKa2, BRSK2, BRSK1, MARK1, ARK2, MARK4, OIK, SIK, QSK, ARK5, MELK, NIM1, CHK1, DAPK1, DAPK3, DAPK2, MLCK, SGK085 and SPEG. 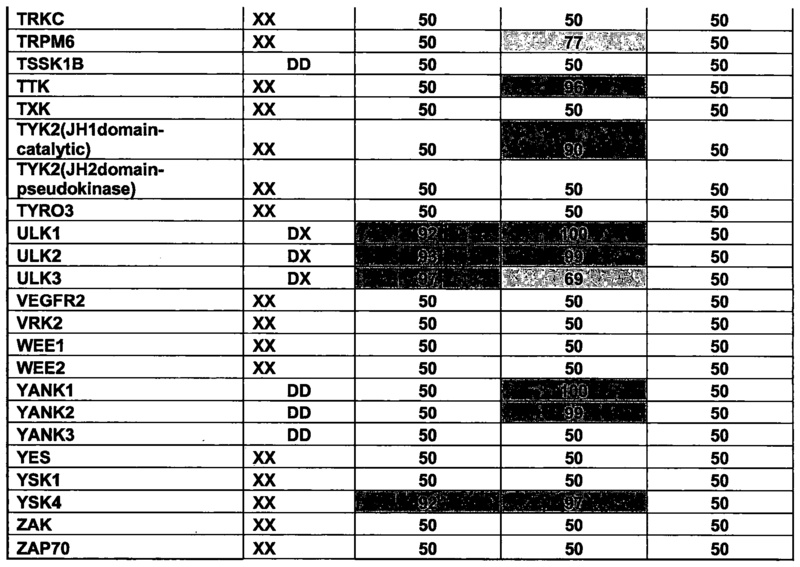 Examples of protein kinases that comprise two acidic residues in their ribose binding pocket are listed in Tables 1(a) -(c) below. The method includes the step of expressing a mutant protein kinase in a host cell, wherein in the mutant protein kinase the at least one acidic residue is replaced with a non-acidic residue such that the mutant protein kinase is at least partially resistant to inhibition by a kinase inhibitor. The host cell may be any suitable cell that allows for expression of the mutant protein kinase, i.e. the mutant protein kinase is ectopically expressed in a relevant cell line of choice. This allows physiologically relevant kinase substrates to be identified in many different genetic backgrounds and diverse cell systems . Preferably, the host cell is a cancer cell or a neuronal cell. Examples of suitable host cells include HCT-116, HEK293, Caco2, RPEl, Hela, MRC5, SKBR3, BA-MD231, PC3, A549, H1299, SW620 and OVCAR-3 cells. The mutant protein kinase is then recovered from these cells under native conditions protecting the associated proteins that include scaffolds, substrates, and subunits. The at least one acidic residue may be any acidic residue, such as aspartate or glutamate. The non-acidic residue may be any non-acidic residue. The non-acidic residue is preferably alanine, arginine, asparagine, cysteine, glutamine, glycine, histidine, isoleucine, leucine, lysine, methionine, phenylalanine, proline, serine, threonine, tryptophan, tyrosine or valine. More preferably, the non-acidic residue is alanine, glycine, valine, isoleucine, leucine, serine, threonine, or cysteine. Even more preferably, the non-acidie residue is alanine, glycine, valine, leucine or isoleucine. Most preferably, the non-acidic residue is alanine. The mutant protein kinase is at least partially resistant to inhibition by a kinase inhibitor. Preferably, the mutant protein kinase retains at least 50%, at least 60%, at least 70%, at least 80%, at least 90% or at least 95% of its kinase activity in the presence of the kinase inhibitor compared to the kinase activity of the corresponding wild type proten kinase in the absence of the kinase inhibitor. The method also includes the step of expressing a corresponding wild type protein kinase in a host cell, wherein the wild type protein kinase is sensitive to inhibition by the kinase inhibitor. This allows the wild type protein kinase, which may be endogenous to the host cell, to be inhibited without the need to knock-down its expression to eliminate false hits. The wild type protein kinase is preferably expressed in the same type of host cell as the mutant protein kinase. Preferably, the host cell is a cancer cell or a neuronal cell. 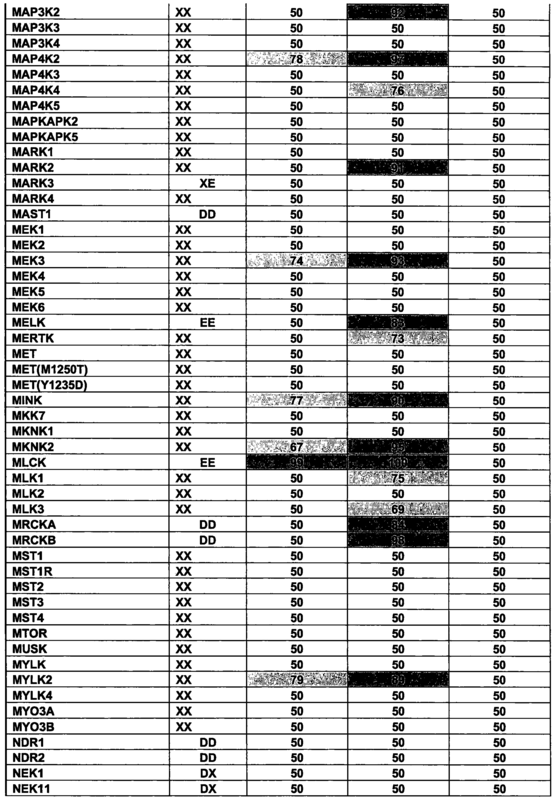 Again, any suitable host cell may be used, such as HCT-116, HEK293, Caco2, RPE1, Hela, MRC5, SKBR3, MBA-MD231 , PC3, A549, H1299, S 620 and OVCAR-3 cells. The wild type protein kinase may be endogenous to the host cell or the wild type protein kinase may be exogeneously expressed in the host cell. The wild type protein is sensitive to inhibition by the kinase inhibitor such that the kinase inhibitor inhibits the kinase activity of the wild type protein kinase by at least 50%, at least 60%, at least 70%, at least 80%, at least 90% or at least 95%. The method includes the step of culturing the host cell expressing the mutant protein kinase and the host cell expressing the wild type protein kinase in the presence of the kinase inhibitor. The host cell(s) may be cultured under any suitable conditions that allow for expression of the mutant protein kinase and the wild type protein kinase. As a control, the host cell expressing the mutant protein kinase and the host cell expressing the wild type protein kinase may also be cultured in the absence of the kinase inhibitor. The identification of a candidate substrate using the wild type protein kinase in the absence of the kinase inhibitor and loss of this candidate substrate when using the mutant protein kinase would imply that the mutation used itself had some specific effect on a subset of candidate substrates. This differential could be used to extend the candidate substrates to be validated. The method also includes the step of detecting phosphoproteins that show an increased association with the mutant protein kinase compared to the wild type protein kinase in the presence of the kinase inhibitor. Preferably, complexes containing the mutant protein kinase or the wild type protein kinase and phosphoproteins associated with the mutant or wild type protein kinase are isolated. The complexes containing the mutant or wild type protein kinase and their associated phosphoproteins may be isolated by any suitable technique known in the art. For example, the wild type and mutant protein kinases may have been engineered to express a tag, such as a GFP tag, a hemagglutinin (HA) tag, a histidine (His) TAG, a V5-tag, a yc-tag, a glutathione S-transferase (GST) tag or a maltose- binding protein (MBP) tag, which allows the wild type and mutant protein kinases and their associated compounds to be isolated, for example by immunoprecipitation. Complexes containing the mutant or wild type protein kinases and their associated phosphoproteins may also be isolated by using an antibody which recognises the mutant and/or wild type protein kinase. recognises a sequence known to be phosphorylated by the protein kinase. Such a sequence may, for example, include a phosphoserine or a phosphothreonine. For example, phosphoproteins associated with the mutant and wild type protein kinases may be detected using an antibody that binds a phosphoserine or a phosphothreonine residue, or directly by mass spectrometry, yielding data on the identity of the protein and potentially even the site(s) phosphorylated. Immuno-purified substrates physically associated with the protein kinase can be identified using generic phosphorylation site antisera. The action of the protein kinase of interest in directly phosphorylating these substrates is determined by use of the drug insensitive, modified form of the protein kinase analyzing whether inhibition of the introduced wild-type (and endogenous) protein in cells suppresses the observed phosphorylations and whether this is rescued by the resistant form. Taking these confirmed protein kinase associated proteins, identifying them and site mapping (using classical methods described above) enables formal validation of their nature as substrates for the protein kinase of interest. interactions, hydrogen bonding interactions and combinations of these) and/or through kinase-subtrates interaction sites (kinase substrate binding pocket and substrate target site) or through both domain interactions (single or multiple) and substrate pocket interactions . phosphoserine or a phosphothreonine residue, or directly by mass spectrometry, yielding data on the identity of the protein and potentially even the site(s) phosphorylated. An increased level of phosphorylation of a phosphprotein when associated with the mutant kinase in the presence of the kinase inhibitor compared to when associated with the wild type kinase in the presence of the kinase inhibitor indicates that the compound is likely to be a substrate of the protein kinase. spectrometry or heavy atom stable isotope labelling by amino acids in cell culture (SILAC) followed by mass spectrometry. phosphoproteins following library based knock-down approaches. Phosphoproteins identified as putative substrates of the protein kinase represent potential biomarkers. (including those in which one or both of the amino acids are glutamate) and 97 protein kinases where only one of these amino acids is conserved (including those in which the conserved amino acid is glutamate) . The mutant protein kinase and/or the wild type protein kinase may be overexpressed in the host cell. Expression of the mutant protein kinase and/or the wild type protein kinase may be transient (e.g. nucleic acid encoding the mutant protein kinase and/or the wild type protein kinase may be introduced into the host cell by transient transfection) or the nucleic acid encoding the mutant protein kinase and/or the wild type protein kinase may be stably integrated into the genome of the host cell. Nucleic acid encoding the mutant protein kinase and/or the wild type protein kinase may be introduced into the genome of the host cell by a knock-in method, e.g. by insertion of the nucleic acid into a specific locus of the host cell genome . The method of the invention may be carried out in vitro (e.g. in host cells grown in culture) or in vivo. Suitable organisms for carrying out the method in vivo include zebra fish, Drosophila, yeast, dictyostelium, mice and rats. The kinase inhibitor preferably comprises a basic amine moiety and a hinge binding moiety linked to a core scaffold. The basic amine moiety is preferably able to bind to the one or more acidic residues in the ribose binding site of the protein kinase, thus inhibiting or preventing binding of ATP, i.e. the inhibitor is preferably an ATP site-directed inhibitor. As shown in Figure 16A, the hinge binding moiety preferably comprises a nitrogen atom containing heterocycle that is able to mimic the hydrogen bonding interactions formed between the adenine ring of ATP and the hinge region of the kinase, thus inhibiting or preventing binding of ATP to the protein kinase. The core scaffold is preferably a nitrogen containing heterocycle that can be suitably substituted. For example, the core scaffold of the kinase inhibitor may comprise a mono or fused bi/tricyclic moiety which is flanked with 5 or 6 membered ring heteroaryl and diaminoaIky1 substituents as shown in Figure 16B. The basic amine moiety may, for example, be linked to the core scaffold by a flexible linker, such as an alkyl group like ethyl or propyl. The flexible linker can be attached to the core scaffold through a heteroatom such as a nitrogen atom as shown in Figure 16B. The hinge binding moiety may be a pyridine ring attached to the core scaffold through the C4 position. The core scaffold is preferably a substituted pyrimidine ring. The basic amine moiety preferably comprises an amino group. More preferably, the basic amine moiety comprises a primary amine. The basic amine moiety may be a primary amine and the flexible linker may be a 3-phenylpropyl amine moiety to which the primary amine is attached at the C2 position as shown in Figure 16B. When present, the 3-phenyl propyl amine flexible linker is preferably attached to the scaffold through the amine at the CI position. The core scaffold may be a substituted pyrimidine ring, such as 5, 6, 7 , 8-Tetrahydro-benzo [4, 5] thieno [2, 3-d] pyrimidine, in which the C2 position is substituted by the hinge binding moiety and the C4 position is substituted by the flexible linker containing the primary amine. The core scaffold may be a substituted pyrimidine ring such as a 7-substituted-thieno [3, 2-d] pyrimidine in which the C2 position is substituted by the hinge binding moiety and the C4 position is substituted by the flexible linker containing the primary amine. In the mutant form of the protein kinase, the at least one acidic residue is replaced with a non-acidic residue and this inhibits or prevents binding of the basic amine moiety of the kinase inhibitor to the ribose pocket of the mutant protein kinase, thus rendering the mutant protein kinase at least partially resistant to inhibition by the kinase inhibitor, so that the mutant protein kinase retains its kinase activity in the presence of the inhibitor. N*l*- (7-Bromo-2-pyridin-4-yl-thieno [3, 2-d]pyrimidin-4-yl) -3-phenyl- propane-1, 2-diamine or (S) -3-Phenyl-N*l*- [7- (2H-pyrazol-3-yl) -2- pyridin-4-yl-thieno [3 , 2-d] pyrimidin-4-yl] -propane-1, 2-diamine . The chemical structures of these kinase inhibitors are shown in Figure 16A and their inhibition profiles are shown in Figure 16 B. The differing selectivity profile of these kinase inhibitors for various protein kinases is shown in Tables 2 and 3. The invention also provides a mutant protein kinase for use in the method described above. The mutant protein kinase has a ribose binding pocket in which comprising at least one acidic residue, e.g. aspartate or glutamate, has been replaced by a non-acidic residue. Preferably, the protein kinase comprises two acidic residues in its ribose binding pocket, i.e. the protein kinase has a di-acidic ribose binding pocket, and in the mutant protein kinase one or both of these is/are replaced by a non-acidic residue. The mutant protein kinase may, for example, be a serine/threonine kinase, such as an AGC kinase, a CaM kinase or a CHUK kinase. 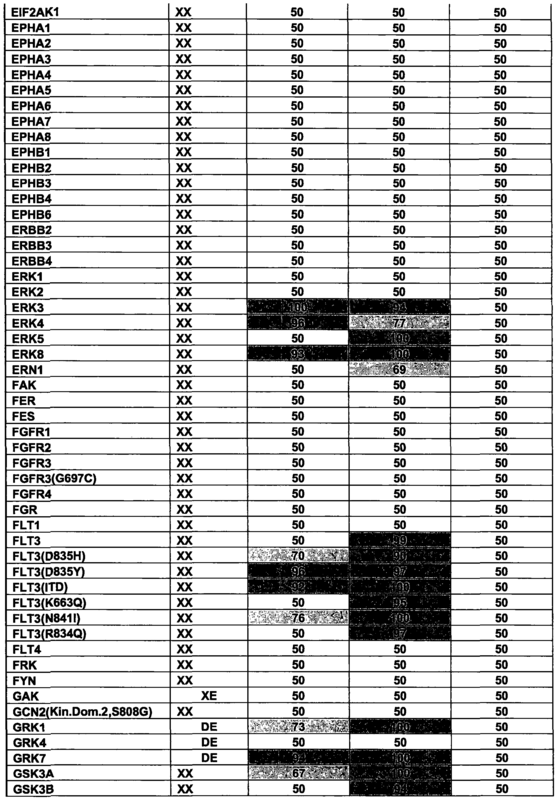 For example, the mutant protein kinase may be any of the protein kinases listed in Table 1 below. corresponding residues are D160 and D202. For example, there are at least 123 protein kinases where both these amino acids are conserved (including those in which one or both of the amino acids are glutamate) and 97 protein kinases where only one of these amino acids is conserved (including those in which the conserved amino acid is glutamate) . 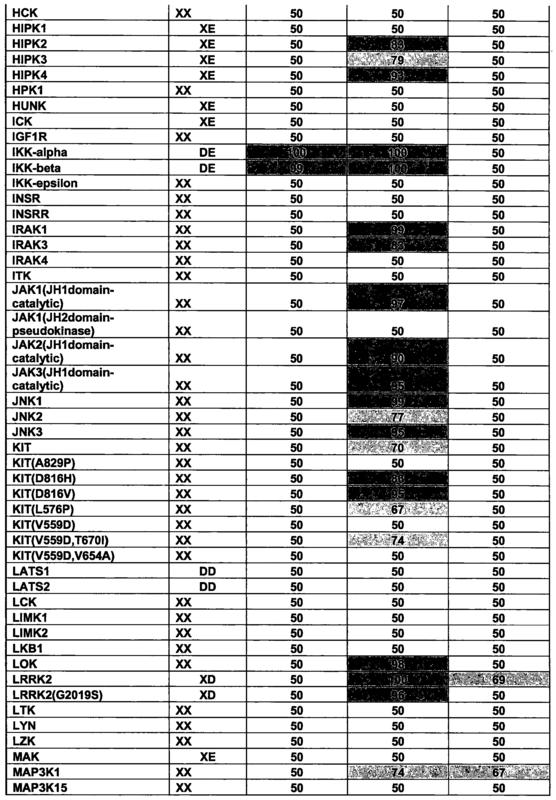 These protein kinases include those shown in Table 1 below. The mutant protein kinase is at least partially resistant to inhibition by a kinase inhibitor. Preferably, the mutant protein kinase retains at least 50%, at least 60%, at least 70%, at least 80%, at least 90% or at least 95% of its kinase activity in the presence of the kinase inhibitor compared to the kinase activity of the corresponding wild type proten kinase in the absence of the kinase inhibitor. The invention also relates to a nucleic acid encoding the mutant protein kinase described above. The nucleic acid may be DNA or cDNA. In addition, the invention relates to a host cell expressing the mutant protein kinase described above. Expression of the mutant protein kinase in the host cell may be achieved by introducing the nucleic acid encoding the mutant protein kinase into the host cell. Examples of suitable host cells include HCT-116, HEK293, Caco2, RPE1, Hela, MRC5, SKBR3, MBA-MD231, PC3, A549, H1299 and OVCAR-3 cells . The invention also relates to a kit comprising the mutant protein kinase inhibitor described above. The kit also includes a kinase inhibitor that inhibits the kinase activity of the corresponding wild type protein kinase, but not the kinase activity of the mutant protein kinase, as described above. The kinase inhibitor may comprise a basic amine moiety linked to a core scaffold as described above. The kit may also comprise the corresponding wild type protein kinase. The kit may also comprise antisera which recognises generic phosphorylated residues with or without a context. Further aspects and embodiments of the invention will be apparent to those skilled in the art given the present disclosure including the following experimental exemplification. HCT-116 cells grown in McCoy's 5A medium containing 10% bovine foetal calf serum and penicillin/streptomycin (Invitrogen) were transfected (10 μg portion of DNA) using Fugene HD (Roche) according to the manufacturer's instructions. The cells were then grown in normal medium for 36 h. Where indicated, cells were treated for 1 h with 10 μΜ (~5x IC50) Compound A ( (S) -3-Phenyl-N*l*- (2-pyridin-4-yl- 5,6,7, 8-tetrahydro-benzo [4, 5] thieno [2, 3-d] pyrimidin-4-yl) -propane- 1, 2-diamine) prior to cell lysis. 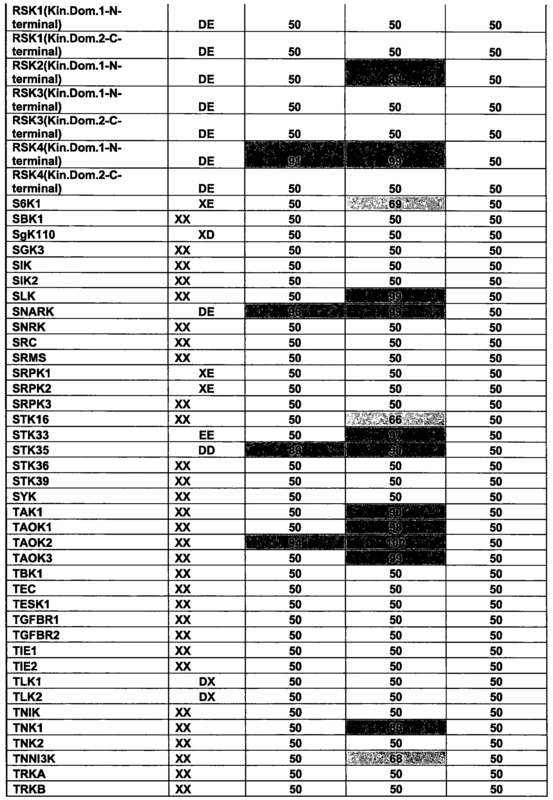 SW-620 colon and A-549 lung human cancer cell lines were also used following ATCC s recommendations for both cell culture and transfection . (D330A/D373A) ; pEGFP-LLGL2-WT and pEGFP-LLGL2-S653A included human PKCi and LLGL2 cDNAs and bovine pEGFP-MyoX-WT and pEGFP-MyoX-S1892A cDNAs. Mutagenesis of PKCi, LLGL2 and MyoX was performed using the QuickChange Site-Directed Mutagenesis Kit (Stratagene) according to the manufacturer's instructions. The nucleotide changes were verified by in house DNA sequencing. pEGFP-PKC included bovine PKCa cDNA and pCDNA5-EGFP-PKCe included mouse PKCE CDNA. The following antibodies were used for immunoblotting : rabbit polyclonal anti-phospho- (Ser) PKC substrate antibody used at 1:500 dilution (Cell Signaling Technology; broad phospho-Ser motif recognition for AGC kinase substrates, described as recognizing generic PKC phosphorylation sites) , rabbit polyclonal antiserum was raised against phosphorylated human S653-LLGL2 peptide used at 1:1000 dilution (+ 100 ng/ml of competing dephospho-peptide similar to the immunizing sequence) , rabbit polyclonal antiserum was raised against phosphorylated human S1892-MyoX peptide used at 1:500 dilution (+ 100 ng/ml of competing dephospho-peptide similar to the immunizing sequence) , rabbit polyclonal anti-GFP antibody used at 1:1000 dilution (Santa Cruz), rabbit polyclonal anti-FLAG used at 1:1000 dilution (Sigma), rabbit polyclonal anti-ERKl/2 used at 1:1000 dilution (Santa Cruz), mouse monoclonal anti-LLGL2 used at 1:500 dilution (Abeam). dithiothreitol (DTT) , 10 mM sodium fluoride, complete EDTA-free protease inhibitor cocktail (Roche) , phosphatase inhibitor cocktails (set II+IV, Calbiochem) ) . After centrifugation (13,000g, 4°C, 10 min) , soluble proteins were precleared then incubated with either anti-GFP magnetic beads (GFP-TRAP; Chromotek) or anti-FLAG magnetic beads (FLAG-M2; Sigma) for 90 min at 4°C. Beads were washed 5 times with lysis buffer (containing 260 mM NaCl) , then the bound proteins were eluted in Laemmli sample buffer, resolved by SDS-PAGE and analysed by immunoblotting. described above, and kinase assays were carried out on pre-washed beads in kinase buffer (20 mM HEPES, 10 mM MgC12, ImM ATP, 2 mM DTT, 0.1 μΜ calyculin A) at 30°C for 20 min. The proteins were eluted from beads in Laemmli sample buffer, resolved by SDS/PAGE and protein phosphorylation of proximal substrates was analysed by immunoblotting with a generic P C phosphorylation sites antibody. For convenience, the following common abbreviations are used herein: LCMS for Liquid Chromatography-Mass Spectrometry. HPLC for High Pressure Liquid Chromatography. NMR for Nuclear Magnetic Resonance. (quartet) , m (multiplet) , dd (double-doublet) , dt (double-triplet) , br (broad) . 50 x 4.60 mm. The injection volume was 10 μΐ. The mobile phase consisted of a mixture of water and acetonitrile containing 0.1% formic acid. The eluent flow rate was 1.5 mL/min, using 95% water: 5% acetonitrile, changed linearly to 5% water: 95% acetonitrile over 5.5 minutes and then maintained at this mixture for 2 minutes . Method 2 employed Waters 515 pumps, a Waters 2525 mixer and a Waters 2996 diode array detector. The detection was performed between 210 nm and 650 nm. The mass spectrometer was a Waters micromass ZQ and the column used was a Waters SunFire, 5 μπι pore size, C18 of dimensions 50 x 4.60 mm. The injection volume was 10 μΐ . Method 3 employed Waters 515 pumps, a Waters 2525 mixer and a Waters 2487 UV detector (single wavelength 254 nm) . The mass spectrometer was a Waters micromass ZQ and the column used was a Waters SunFire, 5 μιη pore size, C18 of dimensions 50 x 4.60 mm. The injection volume was 10 μΐ. The mobile phase consisted of a mixture of water and acetonitrile containing 0.1% formic acid. The eluent flow rate was 1.5 mL/min, using 95% water: 5% acetonitrile, changed linearly to 5% water: 95% acetonitrile over 5.5 minutes and then maintained at this mixture for 2 minutes. Method 4 employed Waters 515 pumps, a Waters 2545 mixer with valves directing to the different columns and a Waters 2996 diode array detector. The detection was performed between 210 nm and 650 nm. The mass spectrometer used was a Waters 3100 which detected masses between 100 and 700 g/mol. The column used was a XBridge, 5 micron pore size, C18, 50x4.60 mm. The injection volume was 10 μΐ of a solution (around lmg/ml) . The flow rate was 1.5 mL/min and the mobile phases of water pH 10 0.03% ammonium hydroxide) (3 ml/101) and acetonitrile 0.03% ammonium hydroxide (3 ml/101) .The elution was started at 95% water: 5% acetonitrile ramping up to 5% water: 95% acetonitrile over 5.50 minutes. The eluent level was returned to the starting conditions of 95% water: 5% acetonitrile over 6 seconds. These conditions were held for 1.4 minutes to allow equilibration of the column before the next sample was injected. The run lasted 7 minutes in total. Method 5 employed Waters 515 pumps, a Waters 2525 mixer with valves directing to the different columns and a Waters 2487 UV detector. conditions were held for 1.4 minutes to allow equilibration of the column before the next sample was injected. The run lasted 7 minutes in total. Method 9 employed Waters 515 pumps, a Waters 2545 mixer with valves directing to the different columns and a Waters 2487 UV detector. The detection was done between at 254nm. The mass spectrometer used was a Waters micromass ZQ which detected masses between 100 and 700g/mol. The column used was a XBridge, 5 micron pore size, C18, 50x4.60 mm. The injection volume was 10 L of a solution (around lmg/mL) . The flow rate was 1.5 mL/min and the mobile phases of water pH 10 0.03% ammonium hydroxide) (3 ml/101) and methanolO .03% ammonium hydroxide (3 ml/101). The elution was started at 85% water: 15% methanol ramping up to 15% water: 85% methanol over 4.5 minutes. These conditions were held for 1 minute before the eluent level was returned to the starting conditions of 85% water: 15% methanol over 6 seconds. These conditions were held for 1.4 minutes to allow equilibration of the column before the next sample was injected. The run lasted 7 minutes in total. Samples purified by Mass Spectrometry directed High Performance Liquid Chromatography employed the following conditions. Method B employed Waters 515 pumps a Waters 2545 mixer with valves directing to the different columns and a Waters 2996 diode array detector. The detection was performed between 210 nm and 650 nm. The mass spectrometer used was a Waters 3100 which detected masses between 100 and 700 g/mol. The column used was a XBridge, 5 micron pore size, C18 , 50x19 mm. The injection volume was chosen by the user and can be up to 500μ1ι of the solution (max 50mg/mL) . The flow rate was 25mL/min and the mobile phases of water pH 10 0 . 03% ammonium hydroxide ( 3 ml/101 ) and acetonitrile 0 . 03% ammonium hydroxide ( 3 ml/101 ) .The elution was started at 95% water: 5% acetonitrile ramping up to 5% water: 95% acetonitrile over 5. 30 minutes. The eluent level was returned to the starting conditions of 95% water: 5% acetonitrile over 0.6 minutes. These conditions were held for 1 . 4 minutes to allow equilibration of the column before the next sample was injected. The run lasted 7 minutes in total. To a solution of 4-cyanopyridine (1.25 g, 12 mmol) in dry dioxane (10 ml) was added 2-amino-4, 5, 6, 7-tetrahydro-benzo [b] thiophene-3- carboxylic acid ethyl ester (2.25 g,10 mmol) followed by potassium- tert-pentylate 1.7M in toluene (12 ml, 20 mmol). The reaction mixture was stirred at room temperature overnight. After completion the precipitate formed was filtered and washed with diethyl ether. The residue was used without any further purification in the next step. LCMS method: 1, RT: 3.54 min, MI: 284 [M+l] . 1H 1 H NMR (300MHz, DMSO) : 8.56 (d,2H), 8.12 (d,2H), 2.90 (m,2H), 2.67 (m,2H), 1.76 (m,4H). Synthesis of 2, 4, 6-triisopropyl-benzenesulfonic acid 2-pyridin-4-yl- 5,6,7, 8-tetrahydro-benzo [4, 5] thieno [2, 3-d] pyrimidin-4-yl ester [A- 2] . To a solution of 2-pyridin-4-yl-5, 6, 7, 8-tetrahydro- benzo [4 , 5] thieno [2, 3-d] pyrimidin-4-ol (1 g, 3.5 mmol) [A-l] in DCM (10 ml) was added 2, 4, 6-triisopropylbenzenesulfonyl chloride (1.3 g, 4.2 mmol), Et3N (1.5 ml, 10.5 mmol) and DMAP (6 mg, 0.05 mmol). The mixture was stirred for at room temperature for one hour. After completion the mixture was diluted with water and the product was extracted into DCM (2x2 ml) . The combined extracts were dried with magnesium sulfate, filtered and evaporated under reduced pressure to yield the title compound as a brown solid, which was used without further purification in the next step. LCMS method: 3, RT: 6.23 min, MI: 550 [M+l] . To a suspension of (S) -2-amino-3-phenyl-propionamide hydrochloride (540mg, 2.7 mmol) in DCM (5 ml) was added Et3N (380μ1, 2.7 mmol) . The suspension was stirred for 2h at room temperature, the resulting solid was filtered and the filtrate was concentrated under reduced pressure to yield to a white solid to which was added dropwise a 1M solution of BH3 in THF (20 ml, 20mmol) the solution was stirred overnight at reflux. After cooling the solution was hydrolysed by slow addition of excess of 10% acetic acid/MeOH (30ml) and refluxed for a further 2 hours . The solvent was removed under reduced pressure, the residue dissolved in methanol and passed through a SCX-2 cartridge and washed with methanol. The product was released from the cartridge using a solution of 2M ammonia / methanol. The solvent was evaporated to provide the title compound as a white solid. LCMS method: 1, RT: 0.36min, MI: 151 [M+l] which was used in the next step without further purification. cartridge and washed with methanol. The product was released from the cartridge using a solution of 2M ammonia / methanol. The ammonia / methanol eluent was concentrated under reduced pressure and the crude product was purified by preparative HPLC (method A) to yield to the title compound. LCMS method: 4, RT: 2.51 min, MI: 416 [M+l] . 1H NMR (300MHz, DMSO) : 8.64 (d,2H), 7.95 (d,2H), 7.36 (m,5H), 3.92 (m,2H), 3.46 (m,2H), 2.92 (m, 1H) , 2.91 (m,2H), 2.79 (m,2H), 1.83 (m, 4H) . A mixture of methyl 3-amino-2-thiophene-carboxylate (lg, 6.36 mmol), 4-pyridinecarbonitrile (0.8g, 7.63 mmol), potassium-tert-pentylate 1.7M in toluene (6 mL, 9.54 mmol) and THF (12 itiL) was stirred at room temperature for 18 hours. The yellow precipitate was collected by filtration, washed with Et20 and dried to give the title compound as a pale yellow solid: LCMS method B: 1.98 min, 100%, 230.00 [M+H] which was used in the next step without further purification. To a stirred suspension of 2-Pyridin-4-yl-thieno [3, 2-d] yrimidin-4- ol [A-4] (20g, 87.2 mmol) in AcOH (400 ml) was added Br2 (20 ml) . The mixture was left to stir 80 °C for 24 hr then additional Br2 (10ml) was added and the mixture was left to stir 80 °C for a further 24 hours. The reaction mixture was cooled and poured into H20-ice mixture, and the yellow precipitate was collected by filtration and washed with satutated sodium metabisulfite, then H20 followed by Et20, to give the title compound as a pale yellow solid (24.1 g, 90% yield) . LCMS method: 8, RT: 3.28 min, MI: 307-309 [M+l] . H NMR (DMSO) 8.99 (2H, d) , 8.49 (1H, s), 8.42 (2H, d) . Synthesis of 7-Bromo-4-chloro-2-pyridin-4-yl-thieno [3, 2-d] pyrimidine [A-6] 7-Bromo-2-pyridin-4-yl-thieno[3,2-d]pyrimidin-4-ol [A-5] (12 g, 38.9 mmol) was suspended in phosphorus oxychloride (120 ml) and the suspension heated to 110 °C. After 1 hour the reaction mixture was allowed to cool then phosphorus oxychloride removed under reduced pressure and the residue azeotroped with toluene. The pH was adjusted to pH 8 by the cautious addition of 2M NaOH and the mixture was left to stir at room temperature for 18 hours and the pale brown solid was collected by filtration, washed with water and dried under reduced pressure to give the title compound which was used in the next step without further purification. LCMS method: 5, RT: 5.68 min, MI: 327 [M+l] . 1H NMR (300MHz, DMSO) 8.92 (2H, dd) , 8.88 (1H, s) , 8.50 (2H, dd) . A microwave vial was charged with [l-Benzyl-2- (7-bromo-2-pyridin-4- yl-thieno [3, 2-d] pyrimidin-4-ylamino) -ethyl] -carbamic acid tert-butyl ester [Compound D] (50mg, 0.100 mmol), lH-pyrazole-5-boronic acid (13mg, 0.115 mmol) , tetrakis (triphenyl phosphine) palladium (11 mg, 0.009 mmol), Na2C03 (2M in water, ΙΟΟμΙ, 0.2 mmol) and EtOH (2 ml). The reaction was heated to 150°C for 15 minutes under microwave irradiation. The mixture was then filtered through a plug of silica, washed with methanol and the filtrate was concentrated under reduced pressure. The crude reaction product was dissolved in DC (2 ml) and TFA (2 ml) was added and the mixture was stirred at room temperature for 1 hour. After completion the mixture was loaded onto a SCX-2 cartridge and washed with methanol. The product was released from the cartridge using a solution of 2M ammonia / methanol. The ammonia / methanol eluent was concentrated under reduced pressure and the crude product was purified by preparative HPLC (method B) to yield to the title compound. LCMS method: 4, RT: 3.26 min, MI: 428 [M+l] ; 1H NMR (DMSO, 300MHz) 8.72 (2H, d) , 8.56 (1H, s, br) , 8.43 (3H, m, br), 8.12 (2H, dd) , 7.78 (1H, d, br) , 7.34 (5H, m) , 3.91 (1H, m) , 3.45 (2H, m) , 2.82 (2H, m) . For most assays, kinase-tagged T7 phage strains were prepared in an E. coli host derived from the BL21 strain. E. coli were grown to log-phase and infected with T7 phage and incubated with shaking at 32°C until lysis. The lysates were centrifuged and filtered to remove cell debris. The remaining kinases were produced in HEK-293 cells and subsequently tagged with DNA for qPCR detection. Streptavidin-coated magnetic beads were treated with biotinylated small molecule ligands for 30 minutes at room temperature to generate affinity resins for kinase assays. The liganded beads were blocked with excess biotin and washed with blocking buffer (SeaBlock (Pierce), 1% BSA, 0.05% Tween 20, 1 mM DTT) to remove unbound ligand and to reduce nonspecific binding. Binding reactions were assembled by combining kinases, liganded affinity beads, and test compounds in lx binding buffer (20% SeaBlock, 0.17x PBS, 0.05% Tween 20, 6 mM DTT) . All reactions were performed in polystyrene 96-well plates in a final volume of 0.135 ml. The assay plates were incubated at room temperature with shaking for 1 hour and the affinity beads were washed with wash buffer (lx PBS, 0.05% Tween 20) . The beads were then re-suspended in elution buffer (lx PBS, 0.05% Tween 20, 0.5 μΜ non-biotinylated affinity ligand) and incubated at room temperature with shaking for 30 minutes. The kinase concentration in the eluates was measured by qPCR. Fabian et al., 2005 describes a small molecule-kinase interaction map for clinical kinase inhibitors (# 12) . Assays were based on the ability of PKC L to phosphorylate a commercially available peptide substrate in vitro. The peptide substrate was FAM-PKCE pseudopeptide derived peptide, and comprised the amino acid sequence 5FAM-ERMRPRKRQGSVRRRV-NH2. Recombinant, full-length human PKC L expressed in Sf21 insect cells was also commercially available. The procedure below explains how dose response curves for inhibitors of PKC i were obtained. The screen described is for a 384 well format but the assay can be adapted to 1536 or other formats as required. Compounds to be tested were dissolved in 100% DMSO. Compounds were diluted as required to give a final concentration of 4% DMSO (v/v) in the assay. Ιμΐ was plated into 384 well black low-binding flat bottomed assay plates which were used immediately. Dilutions and additions of compound to assay plates were carried out using Matrix WellMate® and Matrix PlateMate® Plus liquid handling systems. polarisation protocol with excitation at 485nm and emission at 530nm, and dichroic mirror at 505nm. Assays were based on the ability of PKCz to phosphorylate a commercially available peptide substrate in vitro. The peptide substrate was FAM-PKCe pseudopeptide derived peptide, and comprised the amino acid sequence 5FAM-ERMRPRKRQGSVRRRV-NH2. Recombinant, full-length human PKCz expressed in Sf21 insect cells was also commercially available. The procedure below explains how dose response curves for inhibitors of PKCz were obtained. The screen described is for a 384 well format but the assay can be adapted to 1536 or other formats as required. Compounds to be tested were dissolved in 100% DMSO. Compounds were diluted as required to give a final concentration of 4% DMSO (v/v) in the assay. Ιμΐ was plated into 384 well black low-binding flat bottomed assay plates which were used immediately. Dilutions and additions of compound to assay plates were carried out using Matrix WellMate® and Matrix PlateMate® Plus liquid handling systems. Molecular Devices HT Analyst or a BMG Pherastar. Plates were read using a fluorescence polarisation protocol with excitation at 485nm and emission at 530nm, and dichroic mirror at 505nm. Percentage inhibition values were calculated from fluorescence polarisation values, using the no compound and no enzyme control values as 0% and 100% inhibition, respectively. IC50 determination was performed with ExcelFit software (IDBS) using curve fit 205. Z' factors were determined for each plate tested and were all above 0.5. Assays were based on the ability of ROCKII kinase domain to phosphorylate a commercially available peptide substrate in vitro. The peptide substrate was FAM-S6-ribosomal protein derived peptide, and comprised the amino acid sequence 5FAM-AKRRRLSSLRA-COOH . Recombinant, kinase domain ROCKII expressed in Sf21 insect cells was also commercially available. The procedure below explains how dose response curves for inhibitors of ROCKII kinase domain were obtained. The screen described is for a 384 well format but the assay can be adapted to 1536 or other formats as required. Compounds to be tested were dissolved in 100% DMSO. Compounds were diluted as required to give a final concentration of 4% DMSO (v/v) in the assay. Ιμΐ was plated into 384 well black low-binding flat bottomed assay plates which were used immediately. Dilutions and additions of compound to assay plates were carried out using Matrix ellMate® and Matrix PlateMate® Plus liquid handling systems. 0.01% Triton X100, 250μΜ EGTA and lmM DTT. Relevant controls were included, namely no compound and no enzyme. 5μ1 ROCKII kinase domain / substrate working solution at 12nM and 200nM, respectively, was added to the wells, followed by 4μ1 ATP working solution at 12.5μΜ for ROCKII kinase domain, using a 16 channel Matrix pipette. The reaction was allowed to incubate for 60 minutes at room temperature, before the reaction was stopped and developed by the addition of 20μ1 IMAP™ development reagent (Molecular Devices) . IMAP development reagent consisted of 0.25% (v/v) IMAP progressive binding reagent, 17% (v/v) IMAP progressive binding buffer A and 3% (v/v) IMAP progressive binding buffer B. The plates were then incubated for 2 hours at room temperature before being read using an appropriate plate reader, for example a Molecular Devices HT Analyst or a BMG Pherastar. Plates were read using a fluorescence polarisation protocol with excitation at 485nm and emission at 530nm, and dichroic mirror at 505nm. phosphorylate a commercially available peptide substrate in vitro. The peptide substrate was FAM-S6-ribosomal protein derived peptide, and comprised the amino acid sequence 5FAM-AKRRRLSSLRA-C00H . Recombinant, kinase domain ROCKI expressed in Sf21 insect cells was also commercially available. The procedure below explains how dose response curves for inhibitors of ROCKI kinase domain were obtained. The screen described is for a 384 well format but the assay can be adapted to 1536 or other formats as required. Compounds to be tested were dissolved in 100% DMSO. Compounds were diluted as required to give a final concentration of 4% DMSO (v/v) in the assay. Ιμΐ was plated into 384 well black low-binding flat bottomed assay plates which were used immediately. Dilutions and additions of compound to assay plates were carried out using Matrix WellMate® and Matrix PlateMate® Plus liquid handling systems. containing 20mM tris-HCl pH7.5, lOmM MgCl2, 0.01% Triton X100, 250μΜ EGTA and lmM DTT. The final concentration of ROCKI kinase domain used varied depending on the batch of protein but was typically 4nM. The final concentration of peptide substrate in the assay was ΙΟΟηΜ. ATP was used at a final concentration of 5μΜ, which corresponded to five times equal to the KM APP for ATP for the enzyme. The final buffer concentration in the assay was 20mM tris-HCl pH7.5, lOmM MgCl2, 0.01% Triton X100, 250μΜ EGTA and lmM DTT. Relevant controls were included, namely no compound and no enzyme. 5μ1 ROCKI kinase domain / substrate working solution at ΙΟηΜ and 200nM, respectively, was added to the wells, followed by 4μ1 ATP working solution at 12.5μΜ for ROCKI kinase domain, using a 16 channel Matrix pipette. The reaction was allowed to incubate for 60 minutes at room temperature, before the reaction was stopped and developed by the addition of 20μ1 IMAP™ development reagent (Molecular Devices) . IMAP development reagent consisted of 0.25% (v/v) IMAP progressive binding reagent, 17% (v/v) IMAP progressive binding buffer A and 3% (v/v) IMAP progressive binding buffer B. The plates were then incubated for 2 hours at room temperature before being read using an appropriate plate reader, for example a Molecular Devices HT Analyst or a BMG Pherastar. Plates were read using a fluorescence polarisation protocol with excitation at 485nm and emission at 530nm, and dichroic mirror at 505nm. Percentage inhibition values were calculated from fluorescence polarisation values, using the no compound and no enzyme control values as 0% and 100% inhibition, respectively. IC50 determination was performed with ExcelFit software (IDBS) using curve fit 205. Z' factors were determined for each plate tested and were all above 0.5. In Figure 1 we illustrate the general principle of the method applied to the kinase atypical protein kinase Ci (aPKCt) and its known substrate LLGL2. On co-expression of aPKCi with wild-type (WT) LLGL2, it is demonstrated that on recovery of aPKCi immunocomplexes, LLGL2 is recovered as a phosphoprotein as recognized by a generic PKC phospho-site-specific antiserum (Figure 2) . If co-expressed with a serine 653 alanine substituted LLGL2, the phosphorylation detected is reduced substantially (the fact it is not reduced to zero indicates that other sites are recognized by this antiserum, as predicted from its specificity; see Figure 2) . To demonstrate that the method requires the kinase to be catalytically active, an inactive mutant of aPKCi was employed and showed that recovered proteins are very poorly or undetectably phosphorylated in its recovered complexes (Figure 1) . To confirm that the phosphorylation of LLGL2 was dependent on aPKCi in cells, cells were treated with an aPKCi specific inhibitor and LLGL2 phosphorylation monitored directly. While the protein levels of LLGL2 and ERK (a control protein here) remain unaltered, the phosphorylation of S653 was specifically reduced over time following inhibitor treatment (Figure 3) . recognized or not recognized at all when immunocomplexes were probed following inhibitor treatment in cells (see Figure 5) indicating they are downstream targets of aPKCi. This inhibitor effect was relatively specific, as comparison of even closely related PKCi and PKCi revealed that these protein kinases whilst harbouring candidate substrates in their immunocomplexes, were insensitive to the inhibitor treatment (Figure 6) . To assess whether the identified inhibitor sensitive phosphoproteins are likely to be direct (as opposed to indirect or distal or off target) substrates, we pre-treated cells ± an aPKCt inhibitor and showed that the reduced recovery seen on pretreatment in vivo with inhibitor could be restored in the aPKCi complex on permitting rephosphorylation to occur in the presence of g-ATP (Figure 7) . This indicates that these proteins are likely direct substrates and that both the dephosphorylated form and the phosphorylated forms are present in recovered aPKCi complexes . responsible for the phosphorylations observed, we generated a drug insensitive mutant of aPKCi for comparison to the wild-type protein. As illustrated in Figure 8, the drug employed makes multiple contacts with residues lining the ATP binding pocket of aPKCi. Mutation of two of these residues (aspartates 330 and 373) produces a mutant that shows reduced sensitivity to drug inhibition in cells (Figure 9) . expectedly showed a similar pattern of behaviour (than shown in Figure 10) following drug treatment as shown in Figure 11 in order to firmly validate/demonstrate the methodology. phosphorylation sites using established methods (mass spectrometry, array techniques, mutagenesis, etc) , validation can be achieved using expression and drug sensitivity of the identified substrate proteins . mutant (KD: kinase dead mutant) of aPKCi (Figure 14) . 1. Cohen, P., and Knebel, A. (2006). KESTREL: a powerful method for identifying the physiological substrates of protein kinases. The Biochemical journal 393, 1-6.
identification on functional protein arrays. BMC biotechnology 8, 22. 3. Blasius, M. , Forment, J.V., Thakkar, . , Wagner, S.A., Choudhary, C, and Jackson, S.P. (2011) . A phospho-proteomic screen identifies substrates of the checkpoint kinase Chkl. Genome biology 12, R78. 4. Fukunaga, R., and Hunter, T. (1997). MNK1, a new MAP kinase- activated protein kinase, isolated by a novel expression screening method for identifying protein kinase substrates. The EMBO journal 16, 1921-1933.
cytoskeletal assembly mediated by p21-activated kinase 1. Nature cell biology 4, 681-690. 6. Amano, M. , Tsumura, Y., Taki, K., Harada, H., Mori, K. , Nishioka, T., Kato, K. , Suzuki, T., Nishioka, Y., Iwamatsu, A., et al. (2010) A proteomic approach for comprehensively screening substrates of protein kinases such as Rho-kinase. PloS one 5, e8704. Barnouin, K. , Morsi, A.S., Hafezparast, M., Howell, M., and Parker, P.J. (2012). Binding of Dynein Intermediate Chain 2 to Paxillin controls Focal adhesion dynamics and migration. Journal of cell science . 9. Blagoev, B., Kratchmarova, I., Ong, S.E., Nielsen, M. , Foster, L.J. and Mann, M. ( 2003 ) . A proteomics strategy to elucidate functional protein-protein interactions applied to EGF signaling. Nature biotechnology 21, 315-318 . Kane, S., Sano, H., Liu, S.C., Asara, J.M., Lane, .S., Garner, C.C., and Lienhard, G.E. (2002 ) . A method to identify serine kinase substrates. Akt phosphorylates a novel adipocyte protein with a Rab GTPase-activating protein (GAP) domain. The Journal of biological chemistry 277, 22115-22118 . Shokat, K.M. ( 1998 ) . Design of allele-specific inhibitors to probe protein kinase signaling. Current biology : CB 8, 257- 266 . Fabian, M.A. et al . A small molecule-kinase interaction map for clinical kinase inhibitors. Nat. Biotechnol. 23 , 329-336 ( 2005 ) . 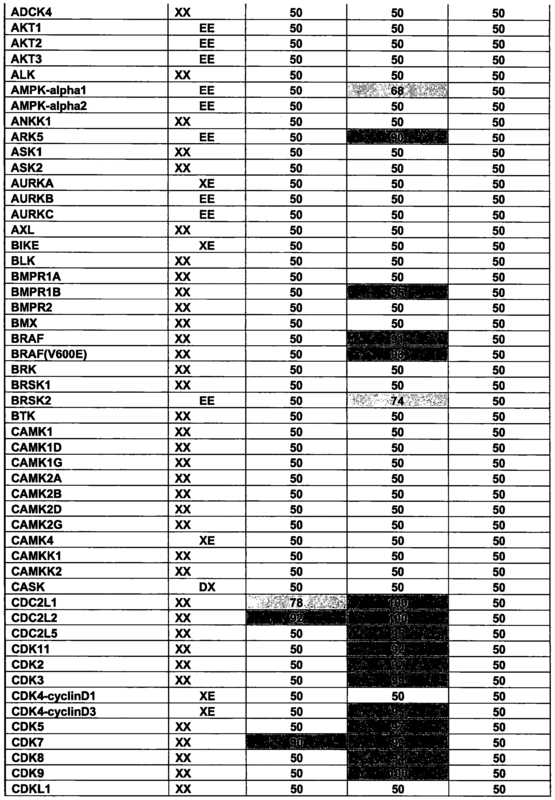 SPEG CAMK EE Table 2 shows the sensitivity of various protein kinases to kinase inhibitors with different selectivity. Compound A = (S) -3-Phenyl- N*l*- (2-pyridin-4-yl-5, 6, 7, 8-tetrahydro-benzo [4, 5] thieno [2,3- d]pyrimidin-4-yl) -propane-1, 2-diamine; Compound B = (S)-N*l*-(7- Bromo-2-pyridin-4-yl-thieno [3, 2-d] pyrimidin-4-yl) -3-phenyl-propane 1, 2-diamine; Compound C = (S) -3-Phenyl-N*l*- [7- (2H-pyrazol-3-yl) -2 pyridin-4-yl-thieno [3, 2-d] pyrimidin-4-yl] -propane-1, 2-diamine . 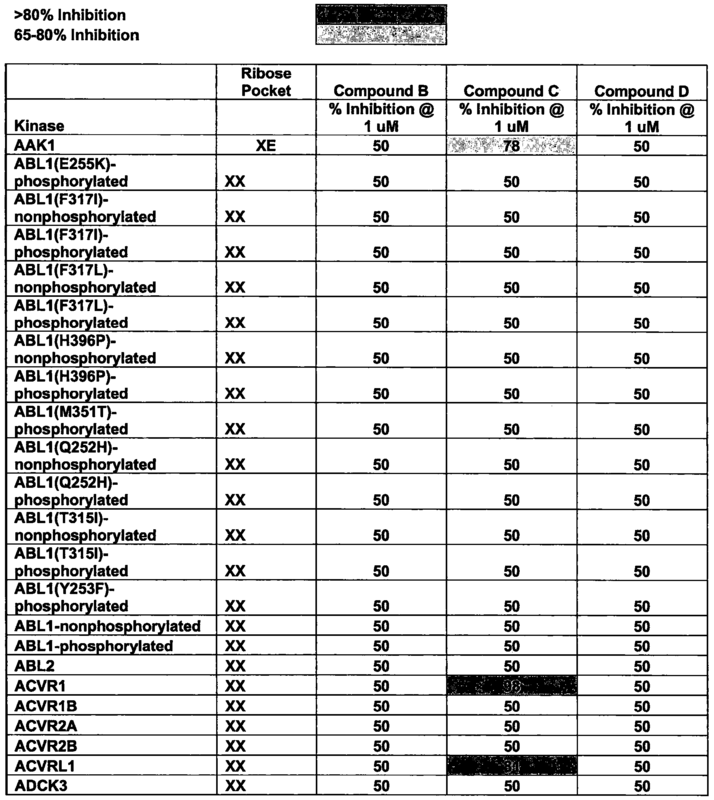 Table 3 shows the sensitivity of various protein kinases to kinase inhibitors with different selectivity. Compound B = (S)-N*l*-(7- Bromo-2-pyridin-4-yl-thieno [3, 2-d] pyrimidin-4-yl) -3-phenyl-propane 1, 2-diamine; compound C = (S) -3-Phenyl-N*l*- [7- (2H-pyrazol-3-yl) -2 pyridin-4-yl-thieno [3, 2-d] pyrimidin-4-yl] -propane-1, 2-diamine; compound D = [l-Benzyl-2- (7-bromo-2-pyridin-4-yl-thieno [3, 2- d] pyrimidin-4-ylamino) -ethyl] -carbamic acid tert-butyl ester. associates with the mutant protein kinase and not with the wild type protein kinase in the presence of the kinase inhibitor is a putative substrate of the protein kinase. phosphoprotein when associated with the mutant protein kinase in the presence of the kinase inhibitor compared to when associated with the wild type protein kinase in the presence of the kinase inhibitor indicates that the phosphoprotein is likely to be a substrate of the protein kinase. The method according to any one of the preceding claims, wherein the protein kinase comprises a ribose binding pocket comprising two acidic residues, and wherein in the mutant protein kinase one or both of the acidic residues are replaced with a non-acidic residue. The method according to any one of the preceding claims, wherein the at least one acidic residue or the two acidic residues are aspartate. The method according to any one of the preceding claims, wherein the at least one or both of the acidic residues is replaced with alanine, glycine, valine, isoleucine, arginine, asparagine, cysteine, glutamine, glycine, histidine, leucine, lysine, methionine, phenylalanine, proline, serine, threonine, tryptophan, or tyrosine. The method according to claim 6, wherein the at least one or both of the acidic residues is replaced with alanine, glycine, valine, isoleucine, serine, threonine, or cysteine. The method according to claim 7 , wherein the at least one or both of the acidic residues is replaced with alanine, glycine, valine, leucine or isoleucine. The method according to any one of the preceding claims, wherein the at least one acidic residue or the two acidic residues correspond to D330 and/or D373 in human PKC L .
The method according to any one of the preceding claims, wherein the protein kinase is a serine/threonine kinase. 11. The method according to claim 10, wherein the protein kinase is an AGC kinase . 12. The method according to claim 10, wherein the protein kinase is a CaM kinase. 13. The method according to claim 10, wherein the protein kinase is a CHUK kinase. 14. The method according to claim 11, wherein the protein kinase is PKC. wherein the mutant protein kinase is overexpressed in the host cell. wherein the method is carried out in vitro. 19. The method according to any one of claims 1 to 17, wherein the method is carried out in vivo. wherein the kinase inhibitor comprises a basic amine moiety and a hinge binding moiety linked to a core scaffold. 22. The method according to claim 20 or 21, wherein in the mutant kinase, binding of the basic amine moiety of the kinase inhibitor to the ribose binding pocket of the mutant protein kinase is prevented or attenuated. 23. The method according to any one of claims 20 to 22, wherein the core scaffold a nitrogen containing heterocycle that can be suitably substituted. 24. The method according to any one of claims 20 to 23, wherein the basic amine moiety comprises an amino group, such as a primary amine. (S) -3-Phenyl-N*l*- [7- (2H-pyrazol-3-yl) -2-pyridin-4-yl- thieno [3 , 2-d] pyrimidin-4-yl] -propane-1, 2-diamine . 26. A mutant protein kinase for use in the method of any one of the preceding claims, wherein the amino acid sequence of the mutant protein kinase differs from the amino acid sequence of the wild type protein kinase in that at least one acidic residue in a ribose binding pocket of the mutant protein kinase has been replaced by a non-acidic residue. The mutant protein kinase according to claim 26, wherein the amino acid sequence of the mutant protein kinase differs from the amino acid sequence of the wild type protein kinase in that two acidic residues in a ribose binding pocket of the mutant kinase have been replaced by non-acidic residues. 28. The mutant protein kinase according to claim 26 or 27, wherein the at least one acidic residue or the two acidic residues are aspartate . 29. The mutant protein kinase according to claim 28, wherein the at least one acidic residue or the two acidic residues correspond to D330 and/or D373 in human PKCL. asparagine, cysteine, glutamine, glycine, histidine, leucine, lysine, methionine, phenylalanine, proline, serine, threonine, tryptophan, or tyrosine. 31. The mutant protein kinase according to claim 30, wherein the at least one or both of the acidic residues is replaced with alanine, glycine, valine, leucine, isoleucine, serine, threonine, or cysteine. 32. The mutant protein kinase according to claim 31, wherein the at least one or both of the acidic residues is replaced with alanine, glycine, valine, leucine or isoleucine. 33. The mutant protein kinase according to any one of claims 26 to 32, wherein the protein kinase is a serine/threonine kinase. 34. The mutant protein kinase according to claim 33, wherein the protein kinase is an AGC kinase, a Ca kinase or a CHUK kinase . 35. The mutant protein kinase according to claim 34, wherein the protein kinase is PKC. 36. A nucleic acid encoding the mutant protein kinase of any one of claims 26 to 35. 37. A host cell expressing the mutant protein kinase of any one of claims 26 to 36. 38. A host cell according to claim 37, wherein the host cell is a cancer cell. A kit comprising (i) a mutant protein kinase according to any one of claims 26 to 35 and (ii) a kinase inhibitor which inhibits the kinase activity of the corresponding wild type protein kinase, but not the kinase activity of the mutant protein kinase. A kit according to claim 39, wherein the inhibitor comprises a basic amine moiety linked to a core scaffold. A kit according to claim 40, wherein the basic amine moiety binds to the one or more acidic residues in the ribose binding site of the protein kinase, such that binding of ATP is inhibited. The kit according to claim 41, wherein in the mutant kinase, binding of the basic amine moiety of the kinase inhibitor to the ribose binding pocket of the mutant protein kinase is prevented or attenuated. The kit according to any one of claims 39 to 42, wherein the kinase inhibitor is (S) -3-Phenyl-N*l*- (2-pyridin-4-yl-5, 6, 7 , 8- tetrahydro-benzo [4,5] thieno [2, 3-d] pyrimidin-4-yl) -propane-1, 2- diamine, (S) -N*1*- (7-Bromo-2-pyridin-4-yl-thieno [3, 2- d]pyrimidin-4-yl) -3-phenyl-propane-l, 2-diamine or (S)-3- Phenyl-N*l*- [7- (2H-pyrazol-3-yl) -2-pyridin-4-yl-thieno [3, 2- d] pyrimidin-4-yl ] -propane-1 , 2-diamine . A kit according to any one of claims 39 to 43 , wherein the kit comprises the corresponding wild type protein kinase .